A world full of cheese! 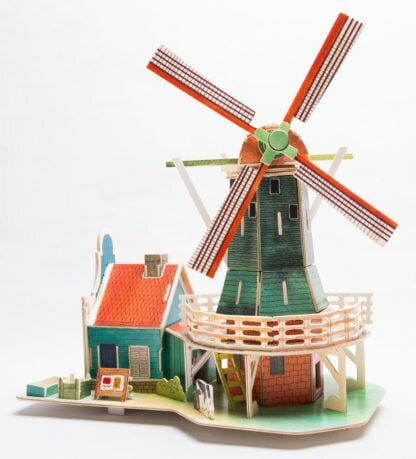 A Dutch Windmill – set on wonderful flat landscape with tulips growing nearby, grain being ground and a mouse on the stair? If you loved your visit to Holland recently – here is a piece to keep with you. A charming house, full of character, with a warm glow of light that will shine through the windows to look spectatular when finished. The pieces all slot together and with a small amount of glue for special details, the project can be completed in 2-3 hours. 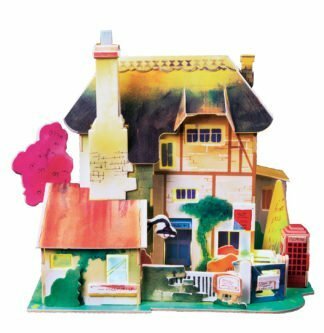 The model will measures approximately 24cm x 24cm x 13cm. 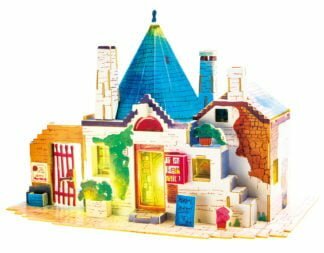 The instructions that come with the model are really clear and precise – each diagram shows you the steps to take and you can really see how the pieces are sequenced so that you get the same effect. 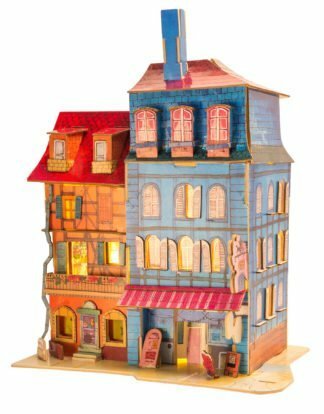 We loved the details included in this model – every step feels like you have achieved a new element to the house and we loved the light up effect at the end. This product is recommended for 14+, however, if given some support and guidance, younger children around 10+ could complete the project.